Mma Makutsi, who has recently been promoted to co-director, has been encouraging Mma Ramotswe to update to more modern office practices. An unusual case, however, will require both of them to turn their attention firmly to the past. A young Canadian woman who spent her early childhood in Botswana requests the agency's help in recalling her life there. Precious and Grace set out to locate the house that the woman lived in and the caretaker who looked after her many years ago. But when the journey takes an unexpected turn, they are forced to consider whether some things are better left in the past. 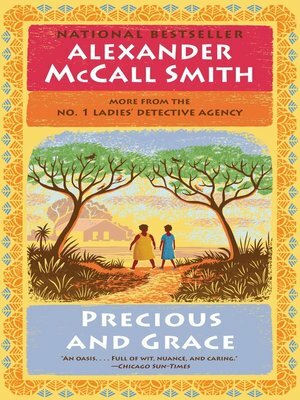 Mma Ramotswe dispenses help and sympathy with the graciousness and warmth for which she is so well known, and everyone involved is led to surprising insights into the healing power of compassion, forgiveness, and new beginnings.